IMPORTANT: This software is only for use with the products identified and sold in Australia, India, Indonesia, Malaysia,Middle East & Africa, New Zealand, Philippines, Singapore, South Africa, Thailand, Vietnam, Hong Kong or Taiwan. Not all models are sold in all countries. Enables TLS1.0 to ensure security of internet applications and adds reliability to already existing SSL3.0. If your Software Version is PKG2.120GAA or higher, your TV does not need this update. 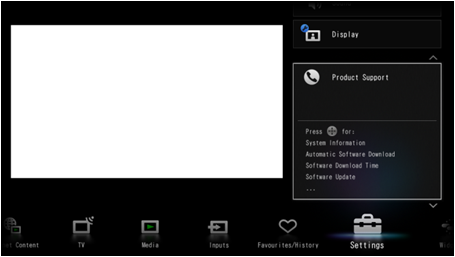 Download the sony_tvupdate_2012_2120_gaa_auth.zip file to a temporary or download directory (please note this directory for reference) on your computer. Go to the directory where the file was downloaded and verify that the size of the sony_tvupdate_2012_2120_gaa_auth.zip file is 100,228,883 bytes. a. Right-click the sony_tvupdate_2012_2120_gaa_auth.zip file, and click "Properties". b.. On the "sony_tvupdate_2012_2120_gaa_auth.zip Properties" screen, verify that the "Size:" listed is "100,228,883 bytes". 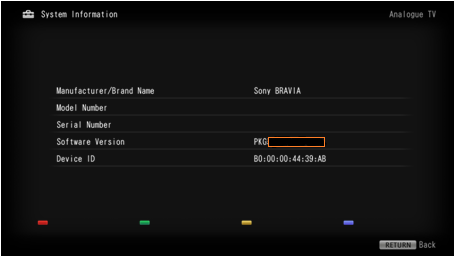 c. If the file size is different than the "100,228,883 bytes", please download the sony_tvupdate_2012_2120_gaa_auth.zip file again. 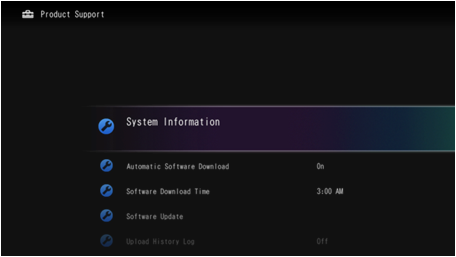 Extract the update file from the sony_tvupdate_2012_2120_gaa_auth.zip file. a. Go to the directory where the file was downloaded and right-click the sony_tvupdate_2012_2120_gaa_auth.zip file, and then click "Extract All. c. A new folder will be created called "sony_dtv0FA20A02A0A2_00001201"
e. A new folder will be created called "sony_dtv0FA20A02A0A2_00001201"
a. Go to the location where the file was downloaded and double-click the sony_tvupdate_2012_2120_gaa_auth.zip file. b. A new folder will be created called "sony_dtv0FA20A02A0A2_00001201"
For Windows® XP operating system: Go to the directory where the folder was created, right-click the sony_dtv0FA20A02A0A2_00001201 folder and, from the menu, click "Send To...", and then click the drive (E.g. Removable Disk E:) that represents your USB device. The update folder will be copied onto your USB device. For Macintosh® OS X operating system: Drag and drop the sony_dtv0FA20A02A0A2_00001201 folder to the root folder of the USB device. If your software version is PKG2.120GAA, the update was successful.